Our primary objective is to facilitate a national series of one mile road races for children 18 years old and younger. We provide education, expertise, equipment and promotion to local organizations to help these organizations manage the races. We, in furtherance of this objective, promote and encourage recreational running in the youth of the United States through education on the benefits of physical fitness and sport. We provide expertise and equipment to other races and manage races to raise funds to meet our primary objective. In 1995, Debi Bernardes of the Fredericksburg Area Running Club decided to take a long standing one mile race for kids to the streets of Fredericksburg, Virginia, to make an exciting road race, just like adults were running. 500 children showed up that day, running in two heats, boys and girls. Thus, was born "The Great Train Race". The following year, six heats were run and a shorter 1/4 mile fun run for kids under 6 years old "the Caboose Run" was added. Rolling on for 13 years to 2007, where 3500 kids ran in 14 heats, "The Great Train Race and Caboose Run" has won local awards for "Best Kids' Event". That night, May 6, 2007, sitting at his computer, doing the final result tallies as he had done for the previous 12 years, Vic Culp, a co-founder of the Fredericksburg Area Running Club, wondered "Why?" After looking at all of the smiling faces cross the finish line, "We're a small town of 20,000 that puts on a big race. Why doesn't anybody else do this?" After scribling many business plan iterations, Race Timing Unlimited was born on May 21, 2007. While not duplicating the success of the Great Train Race across the country. Vic has been joined by Debi and other FARC members to promote Mile races for Kids and time events to reach our objective. Race Timing Unlimited offers disposable tag, reusable chip and manual timing services for up to 50,000 finishers. Hey - we're unlimited - challenge us to go beyond the 50,000 runner limit. For disposable tag timing, the Chronotrack bib tag system is used with start and finish times recored and whatever splits that you desire, reporting gun time and personal times. For reusable chip timing, Chronotrack Chips on ankle straps are is used. Each runner will wear an electronic chip on the lower leg that will record start, finish and split times. These are good for Cross Country races and Multi Sport events. For smaller races, we have the crews, equipment, systems and know how to produce an exceptionally accurate timed race using manual methods. Preliminary results will be provided for awards at the race site. Final results later that evening. (We like to watch the finish video and see all the smiling faces). Depending on the option you pick, there is a minumum charge that includes all travel expenses and all special configurations, and will cover a base number of registered runners. Then, a per registered runner fee for registered runners in excess of the base number. Having measured and received USATF certification on over 150 courses in the last 22 years, we are available to measure courses over any solid surface. Based on layout, USATF certification can be received. Also, we can help layout a race course and provide our experienced insight. We charge $70 per hour for race measurement services. For courses that you have designed, a typical course takes about 1 hour per kilometer. Races that we time and/or host may use our on-line registration portal. We have a sliding scale of transaction surcharges that can be paid by the customer or the host race. 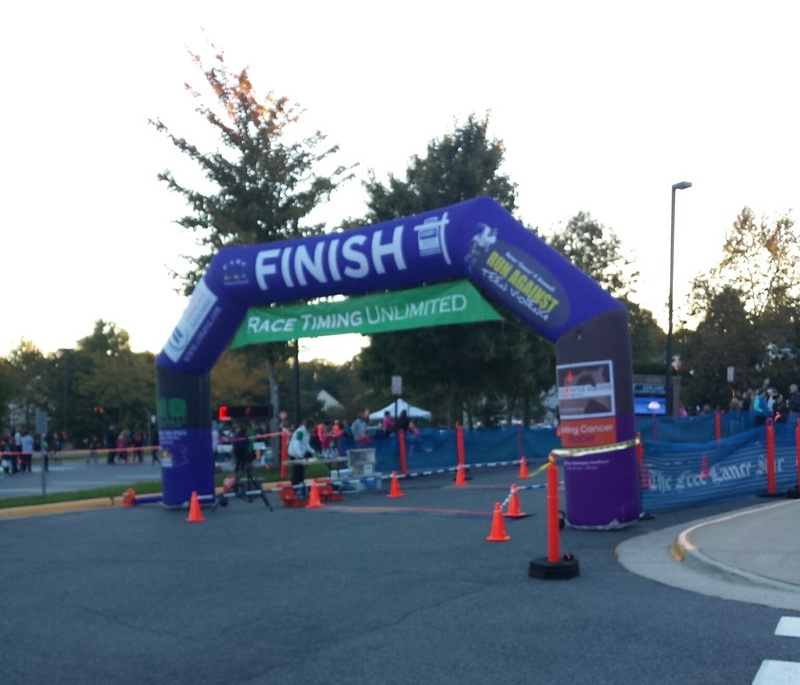 Race Timing Unlimited is available to provide Race Planning Services for foot races only.